Garage kas is the perfect solution - practical and affordable! 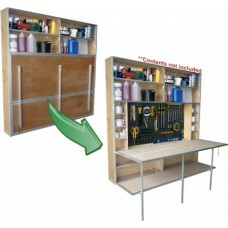 cover becomes a practical and sturdy 1800mm x 680mm workbench. Assembled Sizes:	Overall size: &..